There’s been an inordinate amount of buzz surrounding the (potential) release of a new Apple tablet computer, which prompts me to ask, why is Apple building a tablet? PC manufacturers have been making tablets in one form or another for years, and they don’t sell. Is it because no one with the design ability and skill for marketing has created one until now? No, it’s because the concept is fundamentally flawed when deployed in the real world, and therefore has been rejected by consumers who, universally, live in that same world. Here’s why. Tablets are kind of like laptops, except that you either a) flip open the screen and lay it flat or b) the screen is exposed all the time. With the first option, you basically get a laptop with a weak point, i.e. the swivel where the screen goes from laptop to tablet mode. With the second option, you get scratches on your screen unless you are very, very careful. We buy desktops because they are fast. We buy laptops because they are portable. We buy phones because we can carry them with us and get access to information quickly and easily. Why would we buy an oversized phone that won’t fit in our pocket, can’t make calls, and lacks the horsepower of a laptop or desktop? Except on Star Trek, people who carry a device in one hand and attempt to move their other hand around on it will drop that device. Repeatedly. That’s another reason the phone makes sense — you can hold it in your hand and use gestures with the other hand. If you don’t agree, consider this: many experts predict smartphone sales will surpass laptop sales by 2012. Why? Because smartphones can do all that stuff we need to do on the fly, without weighing us down. If you just need to read an email or surf the Web, why take out your laptop/tablet when your pocket-sized device will do? That’s $2,700 per classroom, based on my rough estimations, or about $2,000 more than it should cost. The extras are all in the Apple hardware–most of which is unnecessary. How can I be sure of this? For one thing, the second Mac Mini is superfluous, except that Podcast Producer 2 is incompatible with network video cameras. This isn’t a technology limitation–I’m currently running streams from network cams such as those made by Axis into QuickTime Streaming Server on Mac OS X Server. Why can’t I use those same cameras with Podcast Producer? Because Apple wants to sell me an extra Mac Mini to control the camera, that’s why. It’s things like this that make me so opposed to encouraging Apple products in the enterprise. If Apple just made good products (they do) that worked well with whatever hardware you have (they don’t), then they would be a real player in the enterprise. But since they have taken the route of limited hardware (under the guise of interoperability concerns), I am less than enamored with Podcast Producer 2, for the same reason I dislike many Apple products. do shell script "defaults write /Library/Preferences/com.apple.Softwareupdate CatalogURL http://updateserver.mydomain.com:8088/"
do shell script "defaults delete /Library/Preferences/com.apple.SoftwareUpdate CatalogURL"
Just substitute the URL of your local update server where it says http://updateserver.mydomain.com. You can test that it works by choosing your local server with your new GUI, then running Software Update. The window should read Software Update (updateserver.mydomain.com). If you set it back to the default, it should just read Software Update again. By the way, if you do intend to set the Sharing name to the computer’s hostname, make sure to include the backticks (located under the ~ sign at the top left of most keyboards) around the word hostname, otherwise you’ll just name your computer ‘hostname’ rather than its DNS name. do script "sudo scutil --set ComputerName `hostname`"
This will launch Terminal, which will then prompt you for your password in order to sudo. Ok, so you thought it would be a good idea to secure your Mac using a firmware password, and then you forgot it. Or, alternatively, you left your machine logged in and an enterprising and mischievous co-worker set a password while you were away. In either scenario, you’re confronted with the same problem: you can’t do anything but boot normally unless you enter the password to unlock the firmware. Boot normally into Mac OS X. You should be able to do this, because you’re not changing any boot options. 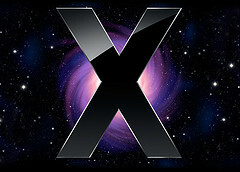 Insert the OS X Leopard DVD into your computer. The popup will appear asking to install OS X. Just ignore or close it. Open Terminal by going to Applications -> Utilities -> Terminal or typing ‘Terminal’ into Spotlight. In the Finder window that opens, choose Utilities and then Firmware Password Utility. Uncheck the box to set the firmware password and hit Change. Your password is now reset to blank, and you won’t be prompted to enter one when changing boot options. To configure a Mac running OS X 10.5 (Leopard) to connect to a local Apple Software Update server, simply use the following command, where servername is the name of your local server that runs Software Update. If you don’t see an XML-type page come up, you should verify that the Software Update service is running on the server, and that port 8088 is properly configured to allow traffic on your network. Our resident Apple toady made a passing remark this morning to me after seeing a colleague’s new iPhone, something like this: “Hey, his iPhone’s better than your BlackBerry.” Now, my BlackBerry is about three years old, nowhere near top-of-the-line, yet that horribly biased statement got me thinking. After all, it’s undeniable that the iPhone’s Mac OS X-based environment is slicker and prettier than the BlackBerry’s rather austere JAVA environment. But the point of a smartphone is, for lack of a better word, to be smart, and the BlackBerry still does a better job. The list goes on, but the point is that RIM made a good decision to go with a technology that was demonstrating itself both universal and capable of being deployed on handheld devices. All of the apps I’ve mentioned are 3rd-party, and I’m not counting gadgets like Gmail which may be on both phones. Apple decided to keep everything tightly under wraps, and now they’ve delivered a phone that’s glitzy and slick, but also inherently limited in scope. And that’s why the BlackBerry line is still better.